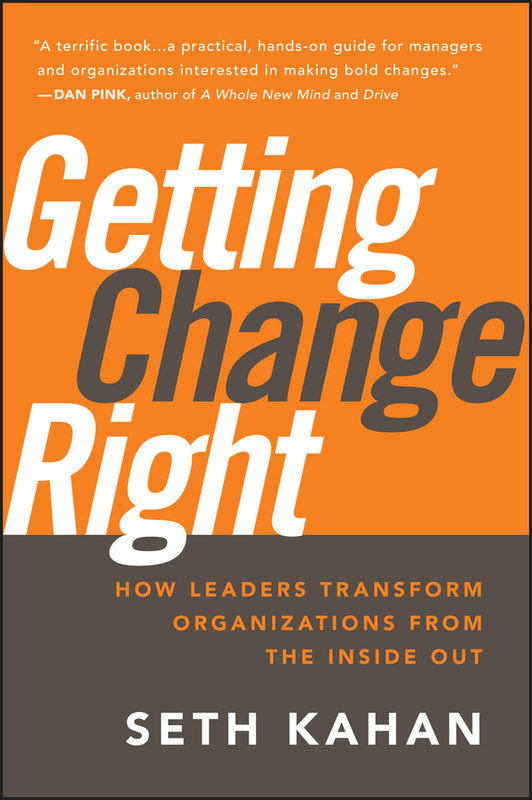 An innovative communication method for making change happen in any organization Getting Change Right presents a new view of leadership communication that says change doesn't flow top-down, bottom-up, or sideways, but inside-out. This is how change spreads through a complex system successfully-the other options are force or failure. Based on years of experience with organizations around the world, change expert Kahan presents a new model of communication, one that moves from a transactional view of information exchange to a collaborative construction of shared understanding. When the right people are having the right conversations and interactions, then they act in concert even though the situations they confront independently are impossible to predict or coordinate. This dynamic practitioner's guide to implementing change Presents the innovative co-creation communication model for creating change Reveals how communicating with a company's most valuable players is at the heart of organizational change Draws on the author's wealth of experience with Fortune 100 companies, leading government agencies, and associations Getting Change Right offers business insights and field-tested, practical techniques that can be put to work immediately.